Monet comes in a variety of colors so you can match you case or create your own style. 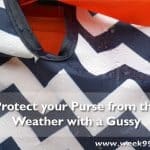 There is one truth about fashion for women – we never have enough pockets. That is if we get pockets at all. But I’m not the type of woman that likes to always carry a purse with her wherever I go. Instead, I like to make sure that I have what I need. We’re more than connected to our phones today – it’s our lifeline and now with Monet, it can be so much more than that. Monet is applied with a strong stick on back. Simply peel and stick. We’ve all been to trade shows where a brand gives you one of those rubber card holders to stick on the back of your phone. I’m not a huge fan of those because they don’t look great, and really doesn’t hold everything I need. But when Monet sent me a couple of their phone accessories, I knew I found what I was looking for. The hand strap can be extended and locked in place with a quick push of button. 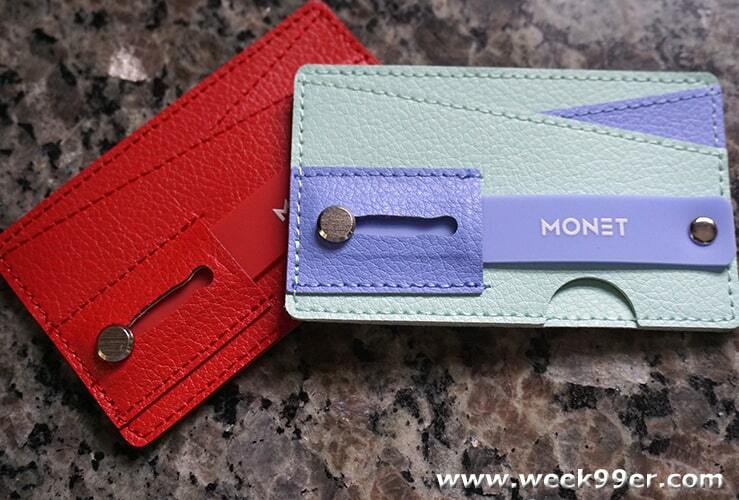 Monet comes with a strong adhesive back so you can be sure it will hold onto your phone once you apply it. The adhesive is so strong that you should be sure that you know where you’re placing the Monet before you do it. I highly suggest doing a dry run, because repositioning can happen but not as easily as you would think. 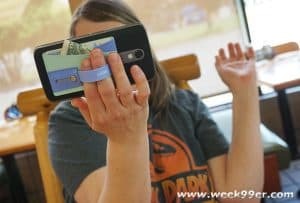 Extending the strap gives you an easier way to hold your phone for calls or taking photos and videos. 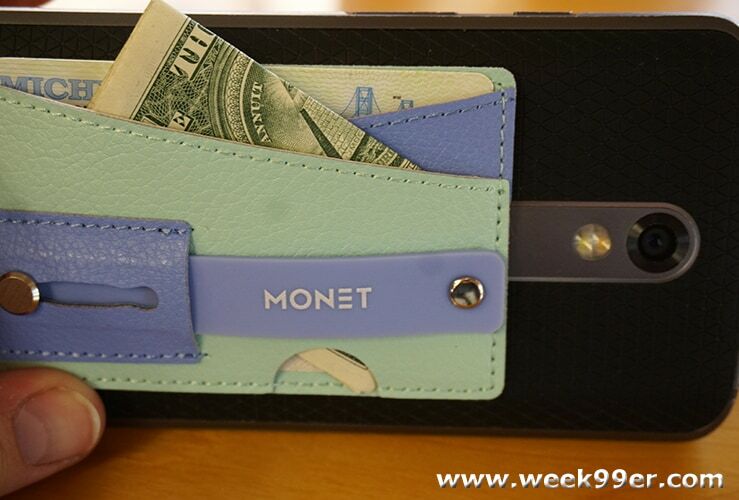 What makes Monet different than other phone wallet systems? 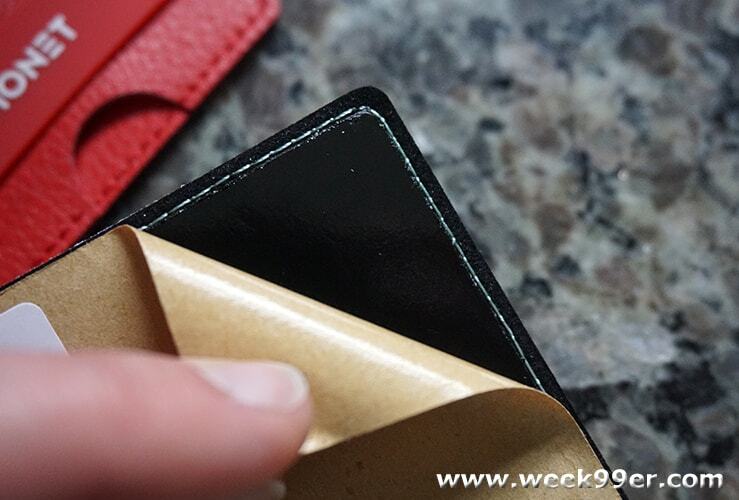 It has a streamline appearance that doesn’t take up a lot of space and is completely functional too. It’s not just a card holder on the back of your phone, instead you’re able to keep your money and ID in the back and use it to support your phone while you’re taking photos. 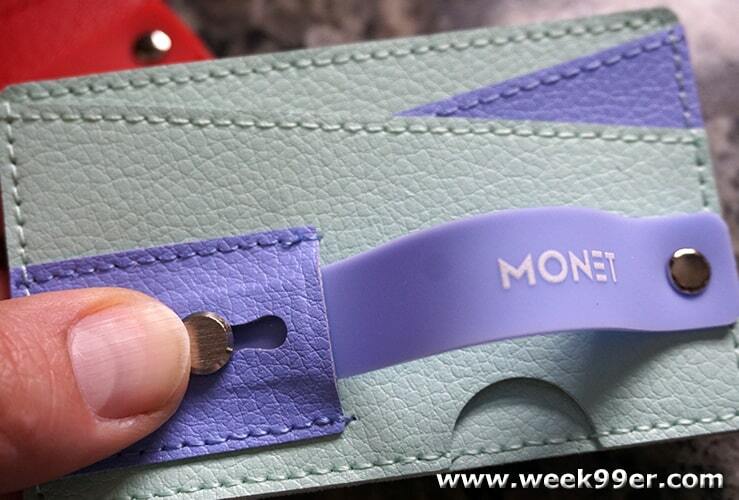 Every Monet comes with a holder strap that is easy to access when you need it and lays flat when you don’t. 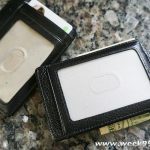 You simply push the metal button to the end and into place and the holder extends giving you a great place to hold your phone, when you are using it to watch movies, take pictures or even shoot video. With Monet you can easily take a selfie or vlog without struggling to hold your phone! Since Monet is extremely functional, it’s becoming a favorite of celebrities and every day people for one specific thing – getting the perfect selfie. With the handle it’s easy to hold and snap those shots you want without struggling to support your phone. 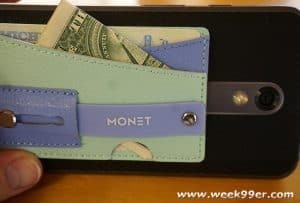 Fit money, cards and more inside your Monet. Monet comes in bold and stylish colors and even some mixed color choices, so it’s easy to find the right one for you and your phone. 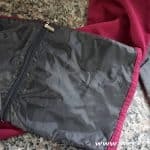 The two pockets are perfect for holding just what you need for a night on the town so you don’t have to carry an extra bag or purse with you, and you can keep an eye on your money and phone since you’ll always have your phone with you. We’re huge fans of the Monet and can see it being our go to accessory for a night out, conferences or even traveling.